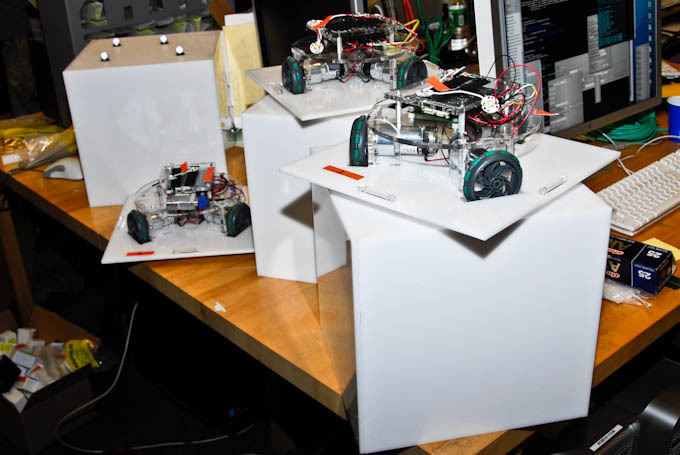 The Operobot project is a system which allows the precise control of a group of omnidirectional mobile robots in real time based on a 3D animation. 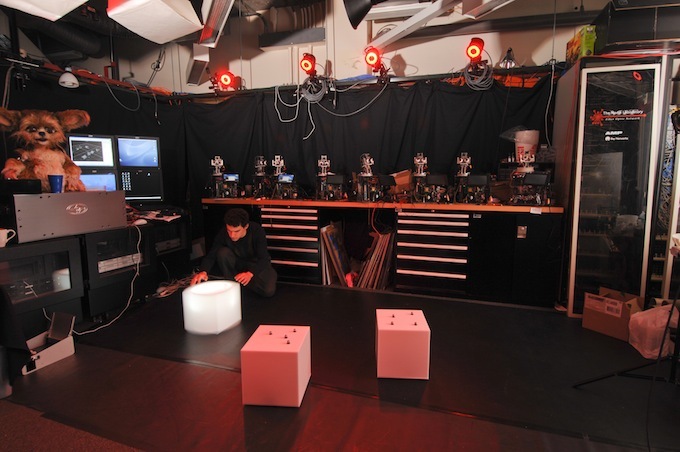 This was a proof of concept for what ultimately became a robotic component of an opera entitled Death and the Powers, created by Tod Machover and the Opera of the Future group at the MIT Media Lab. In collaboration with Jeff Lieberman, the goal was to create an open expressive tool for robotic performance. The white cubes are specifically designed to be simple and elegant, allowing the movement and its relationship to the music be the expressive vehicle. The video below shows a robotic dance, choreographed by Fardad Faridi, to music composed by Tod Machover. Later work centered on a dynamic obstacle avoidance system that would allow the dancing robots to elegantly adjust their dancing positions according the dynamic movements of on-stage actors while maintaining the integrity of the performance. In collaboration with Dr. Cynthia Breazeal (Personal Robots Group, MIT Media Lab), Dr. Tod Machover (Opera of the Future Group, MIT Media Lab), and Jeff Lieberman.